Camp would be camp without pranks. Most of the time they are stupid and juvenile. I can’t complain too much I guess, the students are juveniles after all. This year we had plenty of dumb pranks, but a few were really good. Most of those were from the staff though. As I said, there were many lame pranks. I had some left over bacon put in my bed, a stolen trophy (the golden plunger of power) places under my pillow, and the cabin was messed up with bedding pulled half way out or flipped up. One of the other leaders had his stuff moved into the bathroom, the stuff on his bed moved to the floor, stuff under his bed moved to the top of his bed or just disappeared. The guys hung the cow tongue outside the girls’ cabin and the girls stole all the guys’ stuff that was hanging outside the cabin to dry. I could go on and on, but honestly … lame doesn’t even begin to grasp just how boring these pranks were. 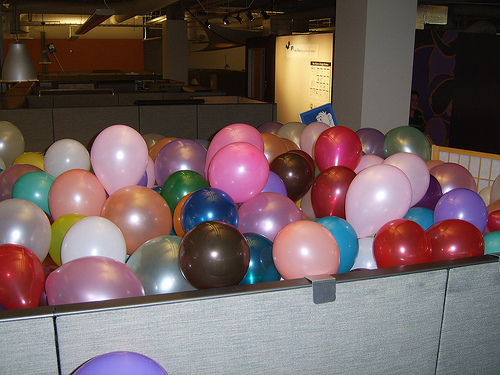 I’ll admit, some of the staff pranks were … pathetic. A few were pretty good though. I posted a video of once student getting mayonnaise instead of ice cream during an ice cream eating contest. One of the female staff, who was right hand to the camp director, let it be known before camp she would have to leave if her sister went into labor. Half way through the week she got a call from her sister and told the director “I just got a call from my sister and need to go talk to …” With the information available the director made the logical leap that the staff person had to leave because her sister was in labor … oops. There was some fall out from that, but once it became known it was just a prank the director took it in good humor. The only prank from a student that really impressed me was done on my bunk. They took some “invisible” fishing line and strung it above the mattress, then put my sleeping bag and pillow on it. From a distance or in the dark it really looked like it was floating. All day they were waiting for me to see it, and even asked if I had. I did see it earlier in the day, but kept pretending I hadn’t. At the end of the night I walked in and they started talking to me, so I stood with my back to the bed talking to them, then walked out the back of the cabin so I couldn’t see the bed. When I came back I started talking to them again and backed into the bed without looking. The guys were so frustrated that I never looked, then I started laughing and congratulated them on what I felt was the most original prank done that year. Of course they’ll try and up it next year … so long as they put some thought and originality into the prank I’ll be happy. I love hearing the fun stories of camp! Thanks for sharing.